Add a little edge of style and attitude to your look with this super cool mini bag. 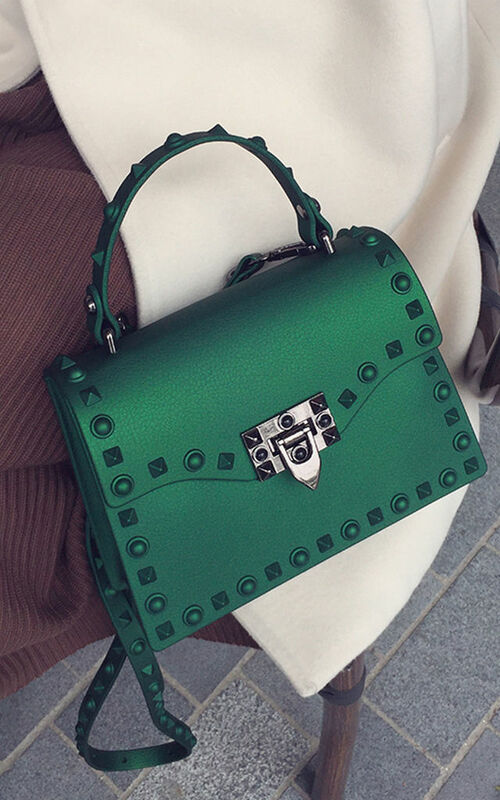 The bag is made from matt finish pvc, which is adorned with matching studs. This bag would be great for so many occasions. It can also fit an iPhone, lipstick and card holder in nicely.... what more do you need! !